Coastrange Sculpins are usually found in coastal streams within 20 km of the estuary or ocean, though they have been found living over 120 km upstream. Coastrange Sculpins primarily inhabit swift water in rocky or cobbled streams and they require areas with adequate cover for protection. Water temperatures are usually less than 20-22ºC. These fish often share their territory with Prickly Sculpin, Threespine Tticklebacks, and anadromous salmonids. Coastrange Sculpins feed mostly at night on insects and bottom dwelling invertebrates like clams and snails. Adults may eat other small fish and amphibians. 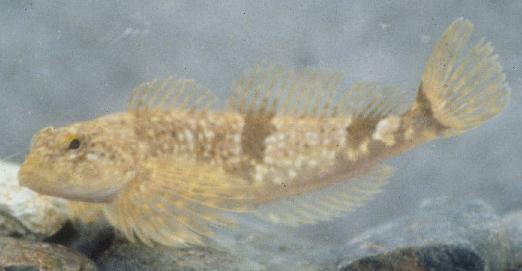 In areas of salmonid spawning the sculpin may feed on stray eggs. The juvenile fish concentrate on the larval stages of mayflies, caddisflies and the like, while the older fish may eat the nymphs of such organisms. Adult Coastrange Sculpins may reach sexual maturity in 2–3 years and are believed to live up to 8 years. Most spawning occurs in an estuarine environment from January to March, though breeding may occur farther upstream and later in the year. Females lay 100-1,764 eggs per year, using the underside of rocks to hide their deposits. When the eggs hatch most of the larvae are swept downstream into an estuary, lagoon, or deeper river pool. The larvae take on a planktonic form for 3-5 weeks before settling to the bottom of a stream. From there the juvenile fish will grow and move progressively upstream. Generally speaking the younger fish live downstream of the older and larger fish.